This year we are only offering one five day camp instead of 2 three days camps in passed years. The dates for this year’s Winter Camp are December 27, 28, January 2, 3 & 4. The rain make up date in case any of the camp days get rained out is Saturday, January 5, 2019. The cost for the 5 days of training is $295. There is a $15 sibling discount to reduce the fee to $280 for each additional camper in the same family. The hours of training for the Winter Camp are exactly the same as the schedule of the Summer Camp, pre camp drop off period of 8am to 9am each day and training from 9am thru 3:15pm each day. The training of the Winter Camp covers many of the same fundamentals as we cover in the Summer Camp program. The Winter Camp will be conducted for players from the age of 5 – 13 years of age. For those campers only able to attend the three days of camp in January on January 2, 3 & 4, we are allowing families to sign up their campers for only those three days for the fee of $255. For those campers able to attend all 5 days of Winter Camp training, the fee is 295.00. The Winter Camp consists of two winter sessions of 3 full days of training/session. Camp hours for all ages are 9:00-3:30 each day. The three days of training will include hitting, bunting, sliding, throwing, baserunning and defensive situations. All players will be trained at the position of their choice (please choose just one position on the camp application). Individual hitting instruction will be taught daily. 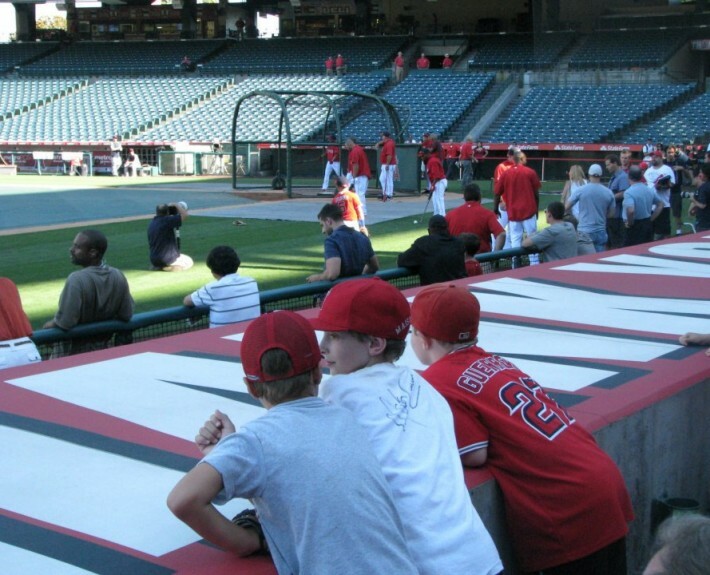 The Mark Cressse School of Baseball is concluding its 34th year as Southern California’s most respected baseball camp with locations in Costa Mesa/Irvine, Laguna Niguel, and Chino Hills. The Mark Cresse School of Baseball offers experienced, professional staff, using the most modern equipment in Orange County area’s finest facilities. Athletic success instills self confidence and teaches lifelong values of discipline and work ethic for a foundation of success is all future endeavors. The Mark Cresse School is the most constructive Winter or Summer Activity a ballplayer will ever attend!! Intensive training in baseball fundamentals will be conducted daily. Station training is designed to improve basic skills in throwing, hitting, ground balls, fly balls, base running, sliding, form running, rundowns, cutoffs and relays, and all phases of fundamental instruction. Position training is taught daily throughout our entire 5 day program. Each ballplayer will choose ONE defensive position to focus on . Ballplayers will work with their position coach on a daily bases with each day building on the previous days instruction. For beginners learning how to throw and catch, or all-stars looking to remain a step ahead of the competition, The Mark Cresse School of Baseball is a fundamentally intensive, non-competitive learning program taught in a fun environment. The Mark Cressse School of Baseball is concluding its 35th year as Southern California’s most respected baseball camp with locations in Costa Mesa/Irvine, Laguna Niguel, and Chino Hills. The Mark Cresse School of Baseball offers experienced, professional staff, using the most modern equipment in Orange County area’s finest facilities.